The big step of employing your first person is a huge one for any business owner. We can help by guiding you through the entire process. From registering with HMRC to complying with the Real Time Information (RTI) regime. You tell us the rate of pay and the hours worked and we will do the rest using our own Cloud based payroll solution. Payroll with the right software can be operated by you, but what happens when you need to pay Sick Pay, Maternity Pay, Paternity pay? We have the expertise and service to help you get through these payroll pains so that you can concentrate on what you know best. You can also use Xero or Sage payroll and keep everything together in one place, the choice is yours. Talk to us for a quotation on a payroll solution that works for you. Xero Payroll is HMRC recognised, RTI ready and complies with all payroll legislation. Compliance sorted – no fines here! Xero Payroll is online payroll software. Updates and upgrades are not required. Everything, including changes to legislation such as the minimum wage and the £3,000 National Insurance Employment Allowance, is kept up to date automatically – in the ‘cloud’. Forget the boxes of ‘special stationery’. Produce and email your own payslips quickly and easily with Xero Payroll which includes a secure employee payroll portal. Payments and deductions are calculated automatically. Employee information and details such as staff sickness, maternity and paternity leave is accessible at the touch of a button. Making a mistake, underpayment/overpayment, on your payroll is not an issue with Xero Payroll. Simply make the corrections and the payroll software automatically updates your payroll information. If you are already using payroll software but want to switch to Xero Payroll you can do so at any time of the year. The Xero support team is available to ensure a smooth transition to our payroll software. 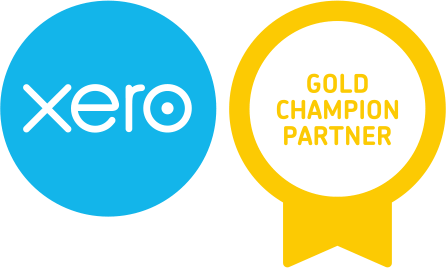 Naturally Xero Payroll integrates with Xero, removing the need for manual input of payroll details into your accounts software. Sharing payroll information with your accountant is simple, safe and secure. If you need some help with Payroll – we’re here. It’s time to take back control, save time and control your business.